Feeling generous today? Give the perfect gift for any occasion! 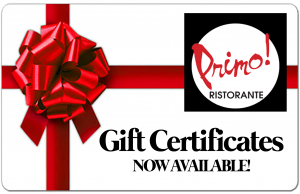 Primos’ incredibly authentic Italian food will not disappoint! 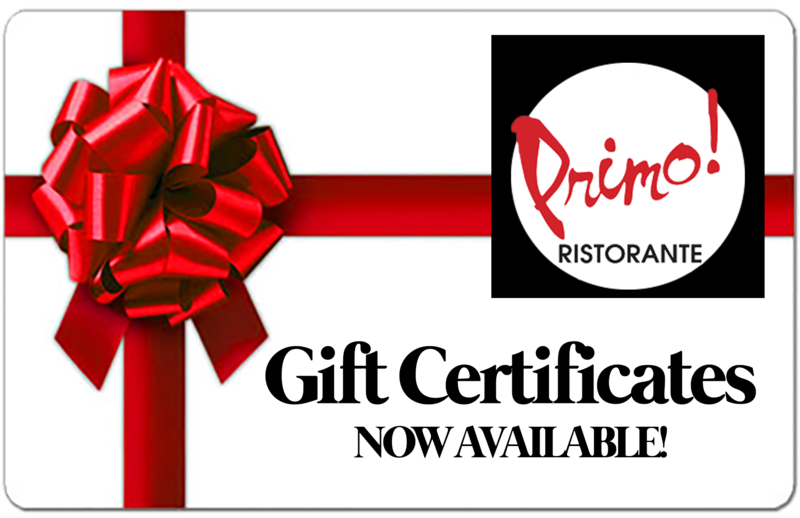 Stop by or order your Gift Cards right here! Need a delicous treat? Check out our creamy, World Famous Colucci Salad Dressing. You can stop by and grab a bottle in our restaurant located at 8076 N. Tamiami Trl Sarasota, FL or give us a call at 941-359-3690 to order! Call us, stop by, or order online!